This was a great show... 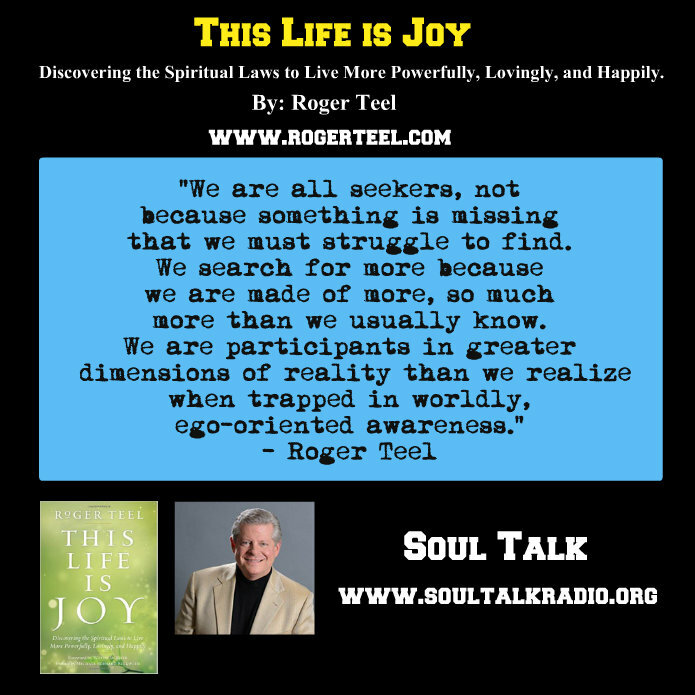 I thoroughly enjoyed interviewing Dr. Roger Teel... Lot's of information on how to lead a Joyful Happy life from a spiritual teacher that has lived the lessons he teaches...Enjoy! As a young child, gazing into the night sky, Roger experienced a mystical awareness of the Oneness expressed in all of creation, a knowing that stayed with him throughout his life. 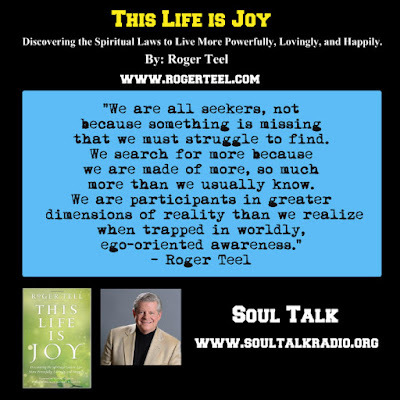 When he was a teenager, his mother became involved with Religious Science, and Roger resonated with the uplifting message of personal empowerment, love, and inclusiveness. Those principles helped to guide his life and eventually led him to step into his calling as a minister. Roger supported himself through college by playing banjo and singing in a local pizza parlor. He earned a degree in psychology and religion from the University of Denver. In recognition of his ministerial accomplishments, he has been awarded a Doctor of Divinity and a Doctor of Religious Science. Early in his career as a minister, Roger left Mile Hi Church, where he had served for ten years as an Associate Minister, to serve pulpits in Oregon and California. In 1993, he returned to his home church, Mile Hi, where he is currently the Senior Minister and Spiritual Director. The church has thrived under Dr. Roger’s leadership, becoming the premier New Thought spiritual community. In addition to its outstanding ministerial staff, Mile Hi hosts a variety of renowned speakers, which include many of his friends and colleagues such as Wayne Dyer, Deepak Chopra, Rev. Michael Bernard Beckwith, and Barbara Marx Hubbard. Dr. Roger’s Sunday messages are broadcast worldwide, shining a light of transformational power throughout the world.